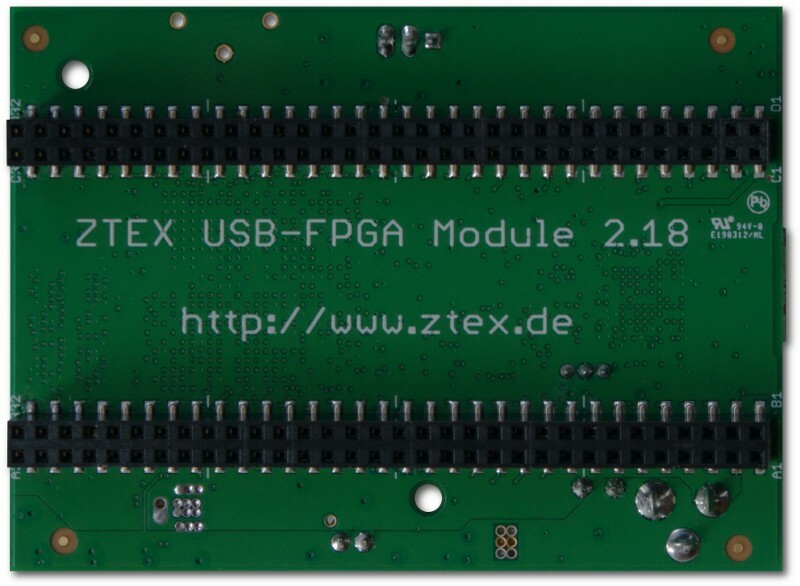 USB-FPGA Module 2.18: Artix 7 XC7A200T FPGA Board with XC7A200T EZ-USB FX3S and DDR3 SDRAM. 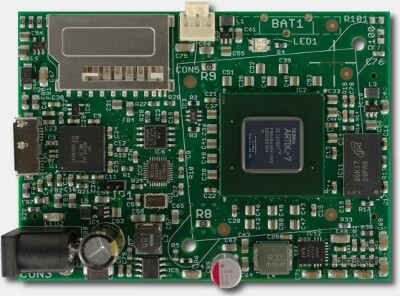 Artix 7 XC7A200T FPGA Board with EZ-USB FX3S and DDR3 SDRAM. Free of charge development software: Vivado Webpack for FPGA and ZTEX SDK for firmware and host software. 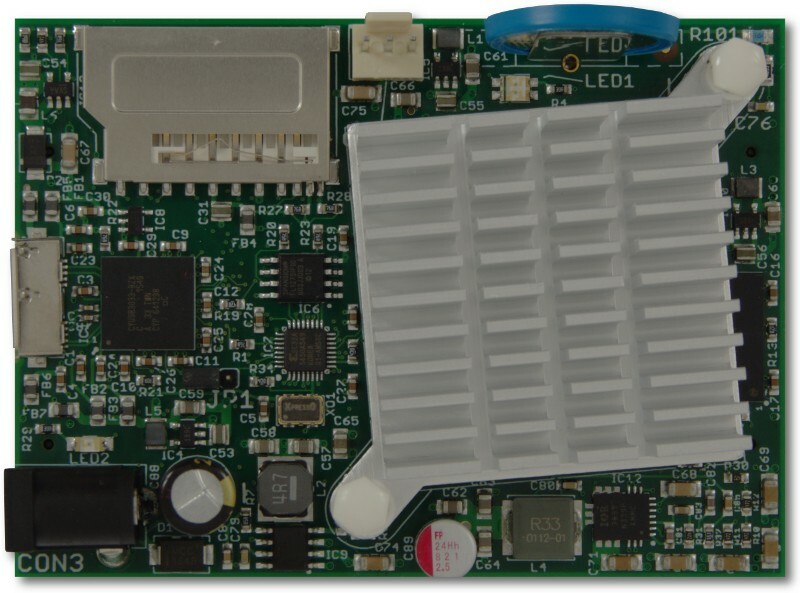 The USB-FPGA Module 2.18 is usually plugged onto an application circuit and therefore has no mounting holes. If a mounting adapter is needed, one of the add-on cards can be used for this purpose. 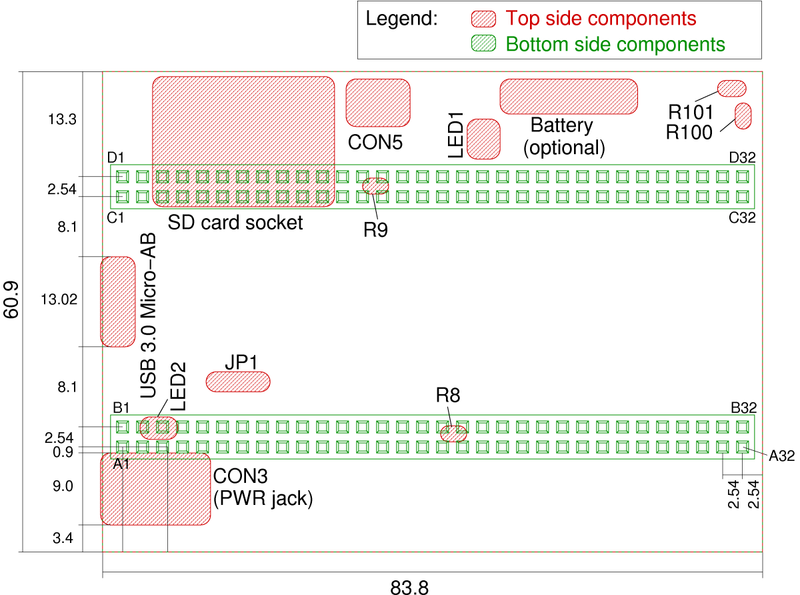 The USB-FPGA Module 2.18 must be powered by an external supply via CON3 or pins A1 and B1 of the external I/O connector. CON3 is a standard DC power jack with 2.1mm center pin (+) diameter and 5.5mm barrel (-) diameter. 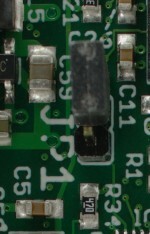 A1 and B1 of the I/O connector and the center pin of CON3 are connected directly. This allows to supply a base board from the FPGA board. Valid supply voltage is 5 V to 16 V. If a fan is installed to CON5, the input voltage should be about 12V. 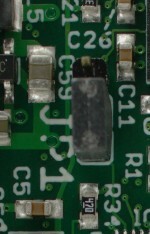 The USB-FPGA Module 2.18 have a SD card socket which is connected to S-Port 0 of the FX3. The SDK supports SD cards as secondary Flash device. The implementation of this feature should be considered as a demo. In order to make use from the full feature set (SDIO, higher speeds, file system support) the Cypress SDK has to be used. On the USB-FPGA Module 2.18 all 100 external I/O's are assigned and have a variable I/O voltage. I/O voltage for rows A and B is VCCO_AB and for rows C and D it is VCCO_CD. By default VCCO_AB and VCCO_CD are connected to 3.3V through 0Ω resistors R8 and R9, respectively. Thus, these pins are 3.3V outputs. (This is the standard behaviour for all FPGA Boards of the Series 2.) If another I/O voltage is required, R8 and/or R9 can be unsoldered and VCCO_AB and/or VCCO_CD can be used as voltage input. The EZ-USB FX3 supports USB-2.0 OTG, i.e. the FPGA Board can act as USB-2.0 host. In OTG mode the 5V USB supply must be driven by the FPGA Board. 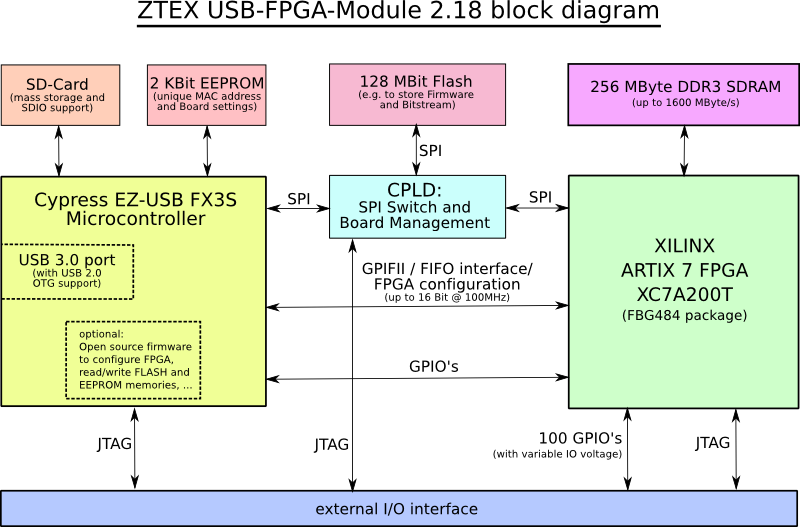 This function is controlled by GPIO57 of FX3 or using the functions ztex_enable_otg_supply()/ztex_disable_otg_supply() of the firmware kit. 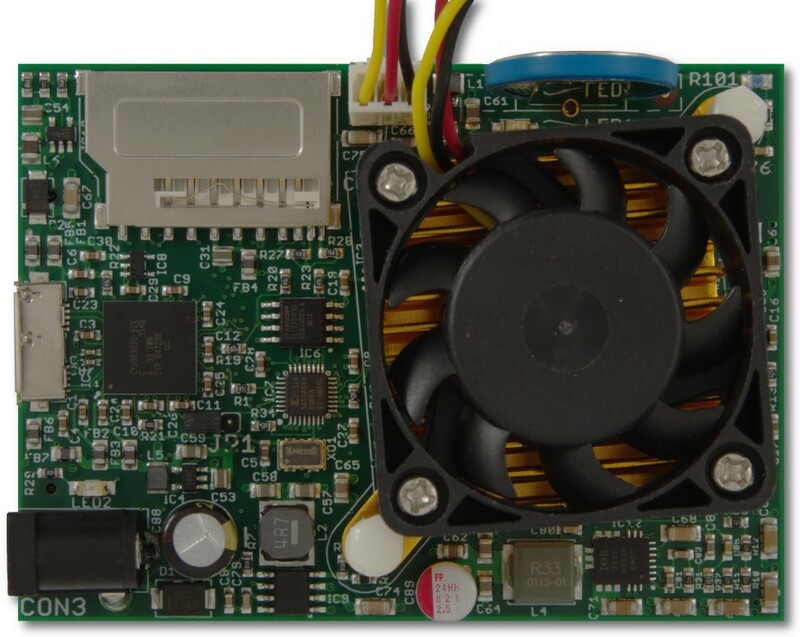 For high performance / high speed applications a heat sink is required. On USB-FPGA Module 2.18 standard heat sinks with two push-pins and a distance of 59mm can be installed. 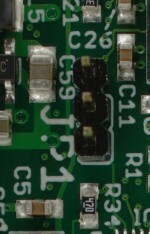 CON5 is a standard 3 pin fan connector for active coolers. If this connector is used the input voltage should be between 9V and 13V. The FPGA can be configured either via USB or via JTAG. JTAG signals are available on the external I/O connector and JTAG headers are installed on most add-on cards. 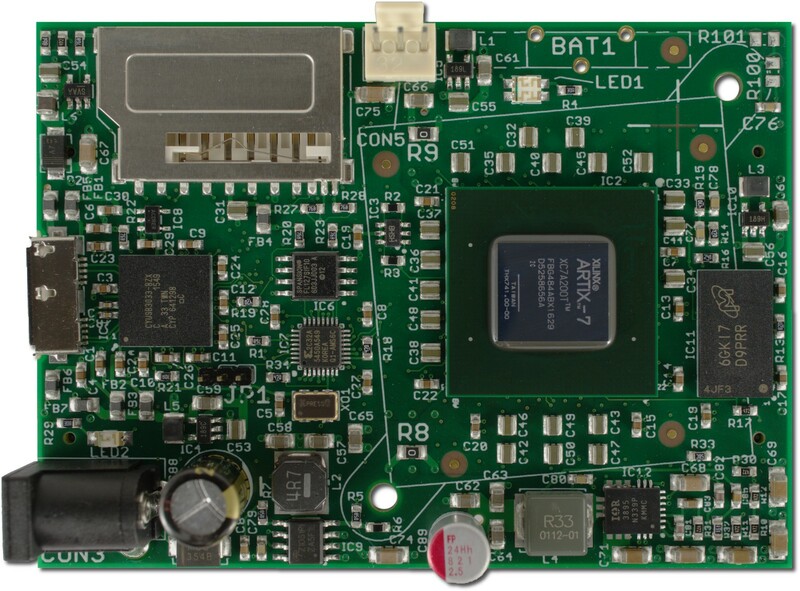 The picture on the right shows an USB-FPGA Module 2.18 with installed battery, R100 and R101. 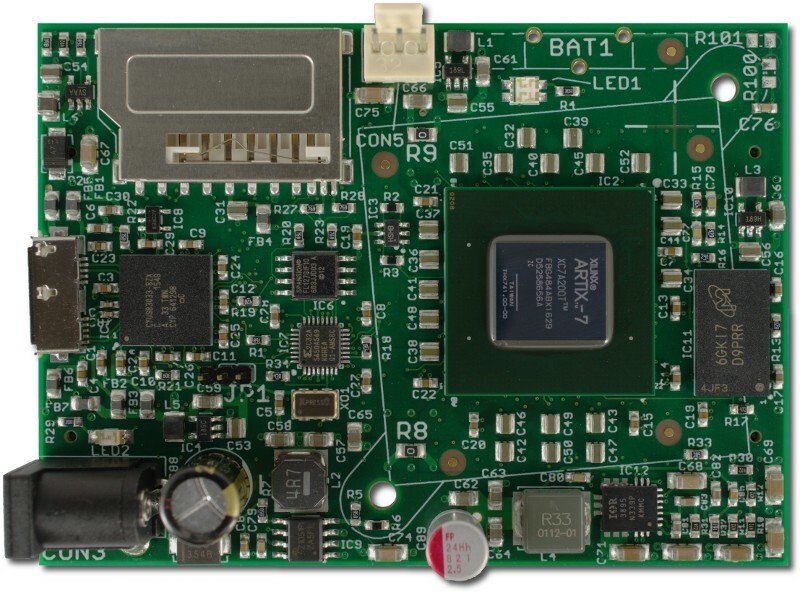 Bottom side of USB-FPGA Module 2.18 with Artix 7 XC7A200T FPGA and EZ-USB FX3.